This little notification just popped up. 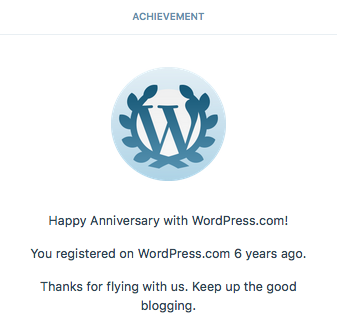 It has been six years since I started this blog, time flies ! What started as a photo gear and photo technique blog has evolved into a motorbike-centric photography site. It was not planned to go like this, but that’s how things have evolved.I am having lots of fun photographing cool bikes and sharing them here on my blog, hope you enjoy it.If you like this blog, please subscribe to receive the latest posts via email. Posts are scheduled to be published once a week (each Thursday at 7 PM German time), and I won’t spam your email account, promised !Please also like my Facebook page and follow me on Instagram ! Thank you, I will keep on shooting ?